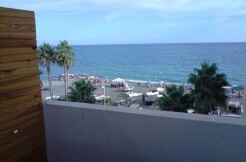 This flat is very close to the beach, just 100 metres !! It has a swimming pool and a communal tennis court. piso cerca de la playa, a unos 100 metros, con piscina y pista de tenis comunitaria. It has 74 m² which are divided into 2 double bedrooms, one of them with a terrace. There is one familiy bathroom, an independent kitchen, a lounge/dining room with another terrace and great views !! It is on the 7th floor with lift. This property sales completly furnished. Located in a quite area, near shops and restaurantes. 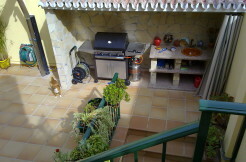 Just a few minutes walk to the town´s center and from the beach !! DISCOVERY ALL OF OUR OPORTUNITIES ! !